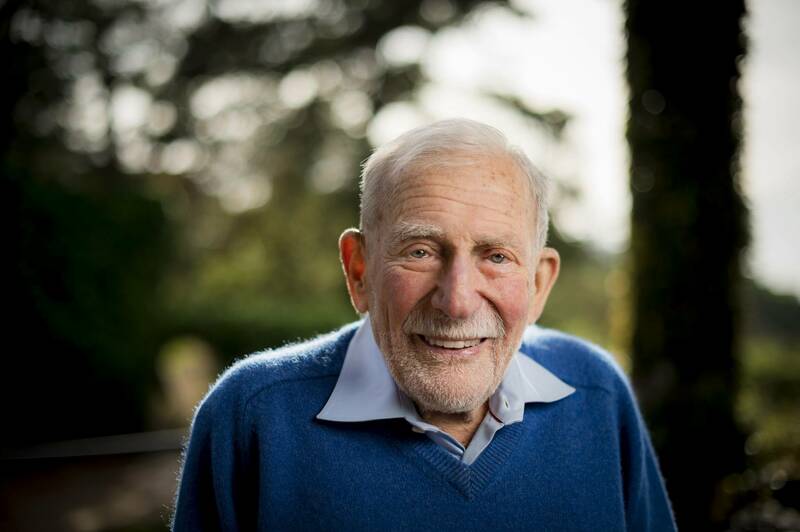 Walter Munk, who gave the Allies a strategic edge in World War II, helped nurture a university into existence, and became a living synonym for oceanography, died February 8 at his home in La Jolla, Calif. He was 101. As a geophysicist at Scripps Institution of Oceanography at the University of California San Diego, Munk made groundbreaking observations of waves, ocean temperature, tidal energy in the deep ocean, ocean acoustics and the rotation of the earth. As an advocate of science and broader scholarship, Munk served as an advisor to presidents and the Pentagon and conferred with public figures including the Dalai Lama and Pope Francis. His convictions led him to refuse to sign a loyalty oath required by the University of California during the peak of anti-communist fervor in the early 1950s and his passion helped create the architecture that would become the defining style of the Scripps Oceanography campus. Munk’s contributions to science throughout the latter half of the 20th Century and into the present century were measured not only in terms of the new knowledge his research yielded, but in the quality and diversity of the questions he considered. An ethos he expressed throughout his career was for scientists to take risks, pursue new directions, and embrace the educational value of failure. However inconclusive Munk might have left some questions before turning to others, his work on nearly all he considered informs ocean and earth science to this day – in some cases, decades after he first posed them. Rebellion and romance played a role in Munk’s journey to a science career at Scripps. He was born on Oct. 19, 1917, in Vienna, Austria, to a cosmopolitan banking family. In 1932, when he was 14, his family sent him to New York for school with the expectation that his time in the financial capital would prepare him for his own career in banking. After spending a few years working at the firm of a family friend, Munk decided he had no fondness for banking and instead applied to and was accepted at the California Institute of Technology. There he received a bachelor’s degree in physics in 1939 and a master’s degree in geophysics in 1940. In pursuit of a romantic interest who vacationed in La Jolla, Munk applied for a summer job at Scripps in 1939. The infatuation with the girl passed, but Munk acquired a new love for San Diego. After receiving his master’s, he returned to Scripps and was admitted as a PhD candidate. 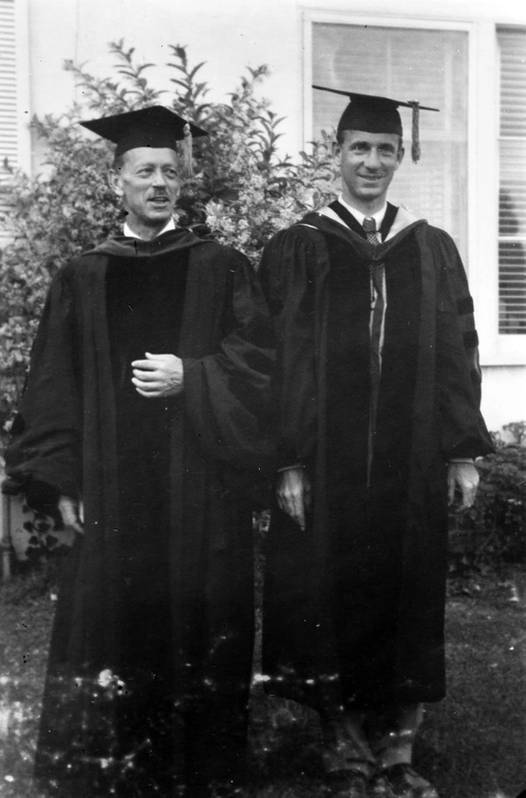 Then-Director Harald Sverdrup would become a lifelong friend and mentor to Munk, who also became fast friends upon joining Scripps with Roger Revelle, a research oceanographer who had just received his doctorate. Munk became an American citizen in 1939 and when war with Germany seemed imminent, he joined the U.S. Army, serving in the 146th Field Artillery, 41st Division at Fort Lewis, Wash. Sverdrup, however, requested his recall in 1941 and Munk returned to Scripps to begin work at the new U.S. Navy Radio and Sound Laboratory in the San Diego neighborhood of Point Loma. A week after his release, the Japanese attacked Pearl Harbor. Munk and Sverdrup were soon tasked with aiding Allied amphibious landings off the coast of Africa. During Munk’s time as an Army private, he had observed that amphibious landing exercises off the coast of South Carolina would have to be cancelled when waves were high enough to breach landing craft. His mission with Sverdrup was to predict days when wave conditions would be most suitable to enable landing craft to get close to the beach. After the two worked out a scheme that yielded reliable predictions, they began training Navy and Air Force weather officers and their principles were applied to landings in the Pacific and Atlantic theaters of war. The meteorologists they trained correctly predicted that the waves troops would face taking the beach in Normandy would be high but manageable. After the war, Munk returned to the dissertation he had set aside. He received a PhD in oceanography from the University of California Los Angeles, with which Scripps was affiliated at the time, in 1947. In the 1950s, Munk explored topics such as the wobble of Earth and wind-driven ocean gyres as oceanography transitioned from a wartime emphasis on defense to a focus on basic science questions supported by entities such as the National Science Foundation. He took part in iconic seagoing expeditions including the Capricorn Expedition in 1952 and 1953. For this expedition, Munk, Revelle and dozens of other scientists were dispatched to the Marshall Islands in the Pacific Ocean in the prelude to the testing of a nuclear bomb at Bikini Atoll. Munk’s concern for the potential that the detonation would trigger a tsunami led to his development of early warning methods incorporated into modern warning networks. 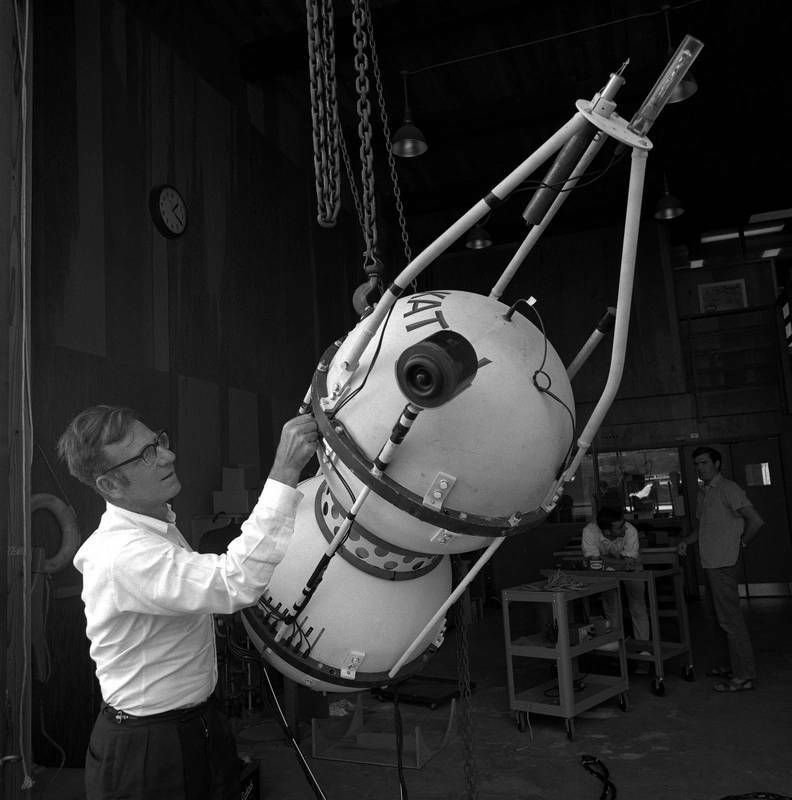 During Capricorn, Munk was also among scientists who participated in a first: using scuba diving equipment to conduct underwater research. Munk watched with some dismay as space science eclipsed ocean and earth science in the popular imagination and in research funding during the decade. His desire to create an equally exciting rival project was the genesis of Project MOHOLE, a quest to drill to the earth’s mantle. The project would eventually be scuttled, but an initial test run of a drilling vessel in 1961 did yield the important finding that acoustic signals from the seafloor could be used to guide dynamic positioning of platforms floating at the surface. That could enable them to remain at a fixed point in the ocean without drifting away from their drilling target. The failed MOHOLE project succeeded in creating a permanent international collaboration to drill for ocean sediments at locations around the world. 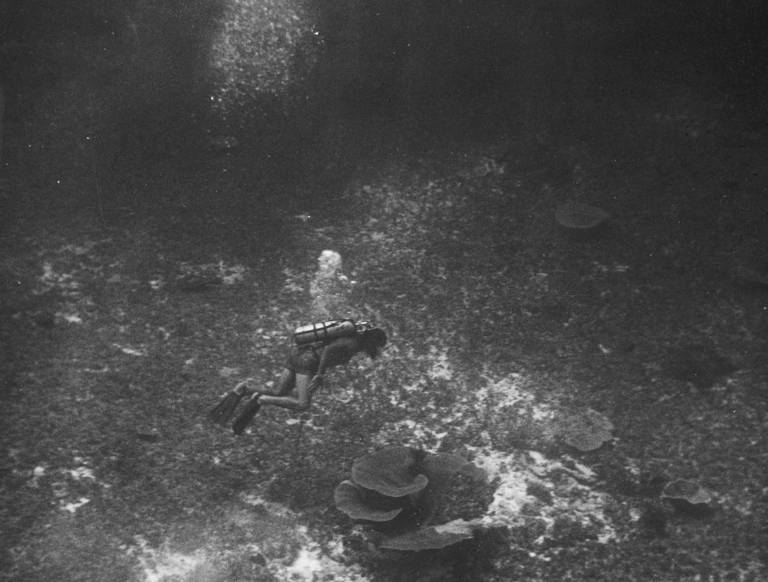 The International Ocean Discovery Program continues to this day as a legacy of MOHOLE. Munk was married briefly to Mary Chapin in the late 1940s. In 1953, Munk married Judith Horton, a member of one of San Diego’s most prominent families. With Judith’s own background in architecture, she would become a partner with her husband in creating the distinctive look of many of Scripps’ research buildings, including the complex that houses the Institute of Geophysics and Planetary Physics (IGPP), a University of California-wide research initiative housed at Scripps. 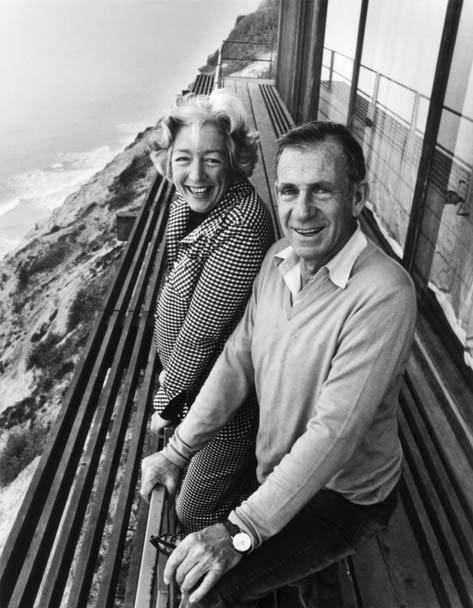 Walter and Judith Munk would become entrenched in the social life of Scripps with their La Jolla home serving as a salon at which students, visiting intellectuals, artists, and scientists would gather to discuss ideas. The two were inseparable in the field as well. Improbably, the couple trekked across the Soviet Union in a Land Rover at the height of the Cuban Missile Crisis in 1962 to reach an oceanographic station at Gelendsik, near the Black Sea. They lived in a Samoan fale when Walter conducted fieldwork on the origin of very long Pacific swells described in the educational film, “Waves Across the Pacific.” The two were partners in thawing the Cold War as they could, serving as science ambassadors through visits to colleagues in China and the U.S.S.R. in the 1970s. Munk was the first director of IGPP’s La Jolla campus, a process set in motion when he began considering leaving Scripps in 1959. To counter the overtures being made to Munk by other research centers around the country, Revelle, by this time the director of Scripps, persuaded Munk to establish a geophysics research group. Revelle’s enticements helped Munk raise money for the new center, which completed its first buildings that same year. At the same time, Revelle was lobbying the University of California to build a new campus in San Diego and Munk joined his friend in the effort, which encountered considerable opposition from UCLA. (Watch Munk’s recollection of the debate here.) Munk’s home, known as Seiche after a variety of the waves he studied, became an incubator of ideas for the new campus. Munk chaired the faculty senate at UC San Diego through a tumultuous period as the Vietnam War raged. In that role, he conferred with both counterculture icons like Black Panther Eldridge Cleaver and then-California Gov. Ronald Reagan. He served on the search committee for UC San Diego’s chancellor in 1964 and chaired the committees that produced the hirings of William Nierenberg and Ed Frieman as directors of Scripps in 1965 and 1986, respectively. Munk’s relationship with the U.S. Navy and other military branches remained a constant throughout his career. He joined JASON, a select group of scientists that advised the Pentagon. Additionally, he served on several panels of the President’s Science Advisory Committee and held the title of Secretary of the Navy Chair in Oceanography until his death. One task assigned to JASON scientists regarding anti-submarine warfare led to Munk turning his attention to marine acoustics. This brought on another era of profound advances in the understanding of the oceans as his work led to the creation of ocean acoustic tomography and thermometry through which acoustic data became a vehicle for understanding currents, circulation, and heat content. The most famous example of this work might have been a Munk-led experiment to see whether acoustics could be used as a way to estimate ocean temperatures on a global scale and thus, the effects of global warming. In 1991, at a remote location near Heard Island in the southern Indian Ocean, Munk’s team transmitted low-frequency underwater acoustic signals. The location had been chosen because the sound waves could travel on direct paths to listening stations in both the Pacific and Atlantic oceans. The premise was validated as stations from Bermuda to New Zealand to the United States West Coast all received the signal. The time the signal took to travel was a function of the temperature of the water it traveled through. After being widowed by wife Judith in 2006, Munk found love again. In 2009, he met Mary Coakley, chair of the Friends of La Jolla Shores organization, and the two were married in 2011. Together, they were immersed in the La Jolla community and became involved in numerous projects, including planning efforts for a 2,400 square-foot mosaic of marine life to be installed at La Jolla Shores in 2019. Throughout his career, Munk acquired a resume of accolades almost as impressive as the work that inspired them. Munk was elected to the National Academy of Sciences in 1956 and to the Royal Society of London in 1976. He was a Guggenheim Fellow three times. In 1983, Munk was honored with the President’s National Medal of Science, the nation’s highest award for lifetime achievement in scientific research. In 1999, Munk was awarded the Kyoto Prize in Basic Sciences for his fundamental contributions to the field of oceanography, the first time the prize was awarded to an oceanographer. In 2001, he was the inaugural recipient of the Prince Albert I Medal in the physical sciences of the oceans, which Prince Rainier of Monaco created in cooperation with the International Association for the Physical Sciences of the Oceans. Among Munk’s favorite honors was the 2014 awarding of the Explorer’s Medal from the Explorer’s Club, an organization founded in 1904 that includes some of the last century’s most famous names in science and exploration among its members. More recently, in 2018, Munk received the French Legion of Honor with the rank of Chevalier (Knight) in Paris for his exceptional contributions to oceanography. The Legion of Honor is the highest French decoration recognizing military and civilian merit. Munk has two marine species named in his honor: Mobula munkiana or Munk’s devil ray—a “flying” pygmy devil ray known for its ability to leap out of the water at great heights—and Sirsoe munki, a deep-sea worm. The 2017 documentary Spirit of Discovery follows Munk as he goes on an expedition to Cabo Pulmo in Baja California, Mexico, in search of the mysterious devil rays named after him. Munk’s habit of everyday scholarship never stopped. 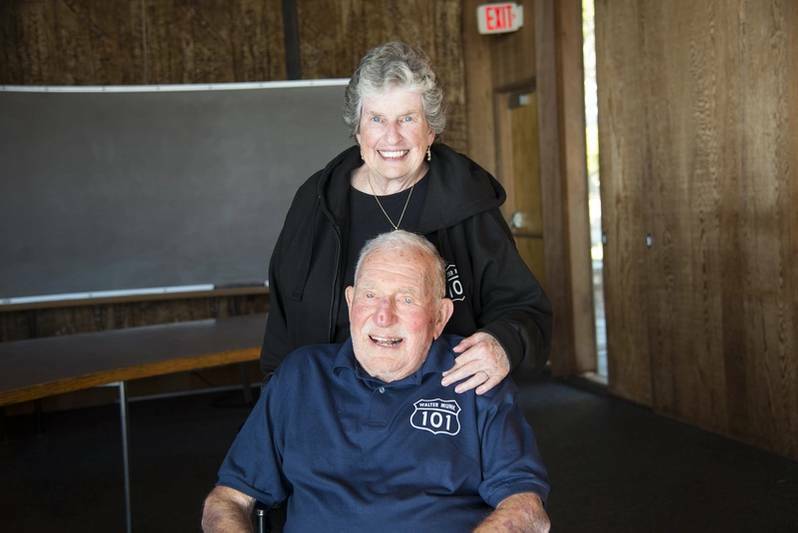 He remained active in his advisory work with JASON in recent years and he was working on research papers when Scripps was joined by national political and science leaders in celebrating his 100th birthday in 2017. In the past decade, he had continued outreach, conferring with Pope Francis and the Dalai Lama on the threat of climate change. At a civic event in October 2017 that was part of a series of celebrations for his 100th birthday, an array of elected officials came to La Jolla to fete Munk when the boardwalk on La Jolla Shores was renamed in his honor and would become Walter Munk Way. With his thanks, Munk left the crowd with an observation to ponder. “The CO2 we are putting into the atmosphere now is producing a rate of sea-level rise so that the Walter Munk Way is not going to enjoy another 100 years,” he said. Munk is preceded in death by wife Judith, who died in 2006, and a daughter Lucian, who was born with a heart defect and died at the age of 7 in 1961. He is survived by daughters Edie of La Jolla and Kendall of State College, Penn., three grandsons Walter, Lucien, and Maxwell, and current spouse Mary Coakley Munk. The US GEOTRACES program is dedicated to collecting trace elements and their isotopes from the world’s oceans for scientific purposes.